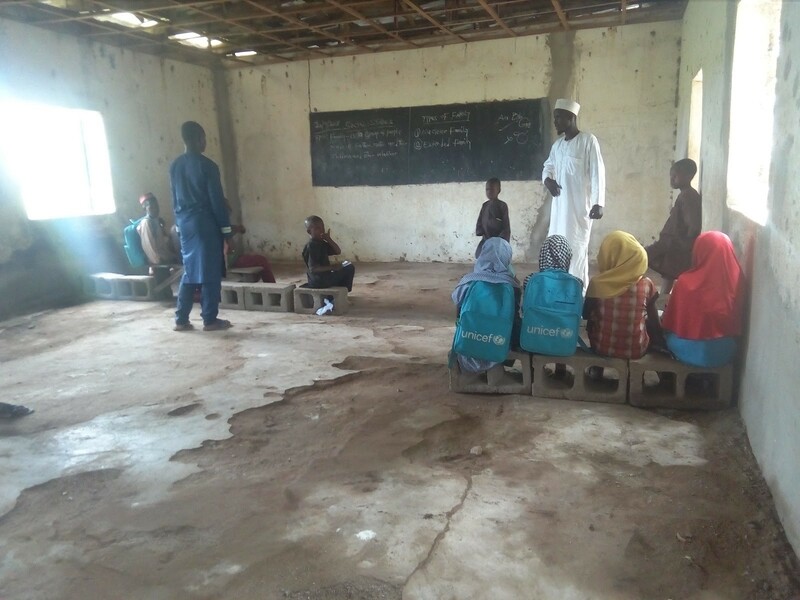 Educational infrastructure is key to any viable and functional system as no nation develops more than the standard of education available to it which is why it is the duty of every government to ensure that its citizens, even those in rural communities have access to quality education. 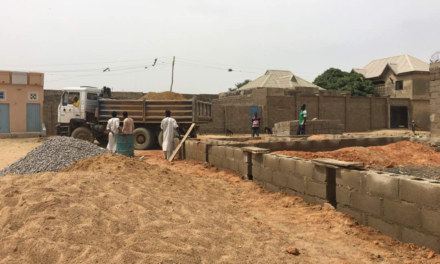 To ensure that even in the remote communities schools are provided with the necessary educational infrastructures, Follow The Money team is tracking the renovation of 2 blocks of 4 classrooms and 2 offices at Parda Primary School, Adamawa State which was to be implemented as an emergency intervention project as directed by the Local Government Chairman at the cost of 3.8million NGN. 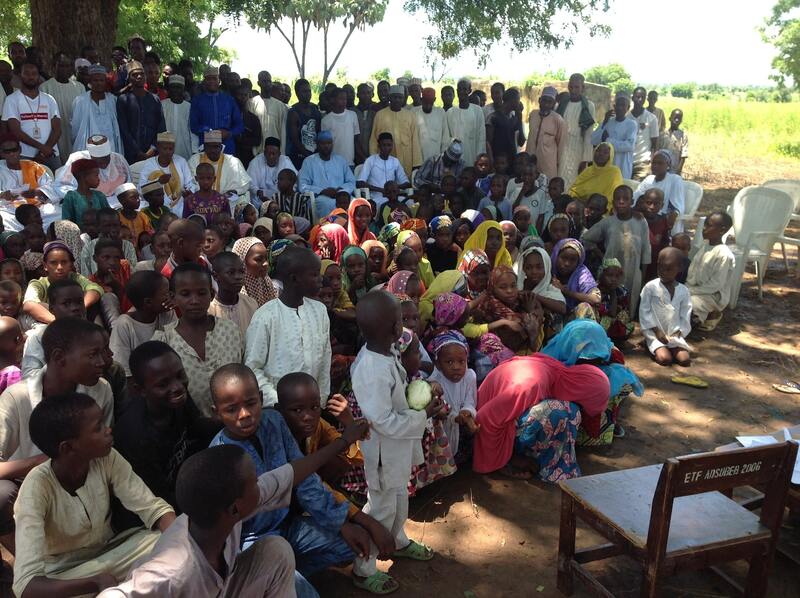 Parda is a populated place in Adamawa State, with the region font code of Africa/Middle East. It is located at an elevation of 205 meters above sea level and its population amounts to 77,622. 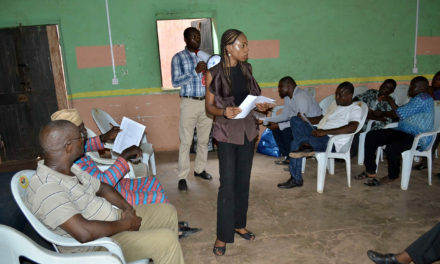 Earlier at the end of last year, the FTM team organized a town hall meeting to have concerned governmental stakeholders meet with the school and community leadership over rehabilitation of the primary school. 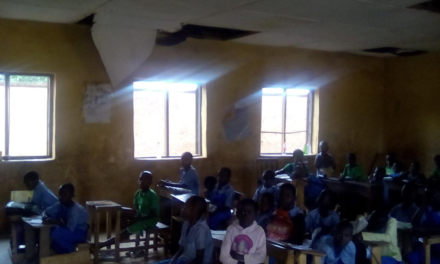 In attendance were about 275 pupils, the school leadership, as well as both government functionaries including the representative of Adamawa state ministry of Education and the community representatives. 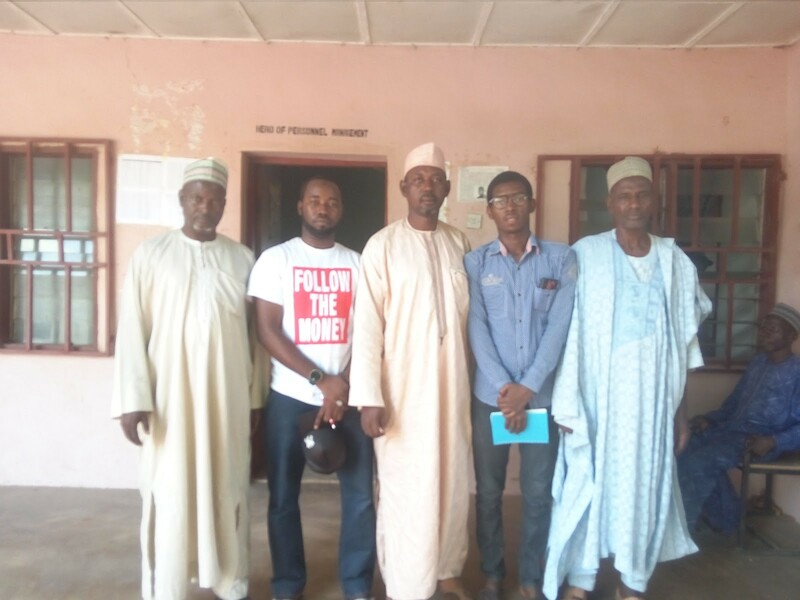 In the Q3 of 2018, the Follow The Money formally launched the #EducateParda campaign in a bid to extensively make sure the school is fixed. Through this campaign, we call on all concerned stakeholders to implement the open government system by ensuring accountability and transparency in the usage of government funds that have been released for projects. We implore the general public especially the good people of Parda community to exercise their human rights and get on board with us in following the money to ensure that this project is duly implemented through joining us on www.ifollowthemoney.org. 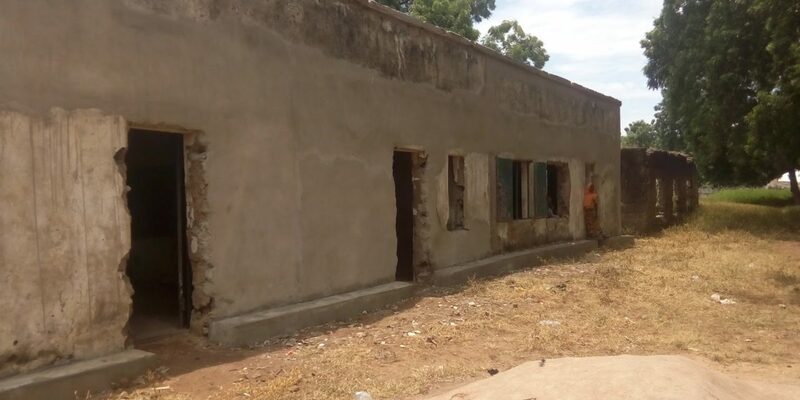 12/09/2018: Follow The Money Adamawa Chapter Lead, received a disturbing call from one of its community reporters in Fufore Local Government Area that the renovation contract of Parda Primary School in Fufore Local Government Area, awarded to one Mr. Tijjani Hamma Ngari since June 2018 had stopped after Aliyu Wakili Boya’s tenure as Chairman Fufore LGA elapsed 2 months before. 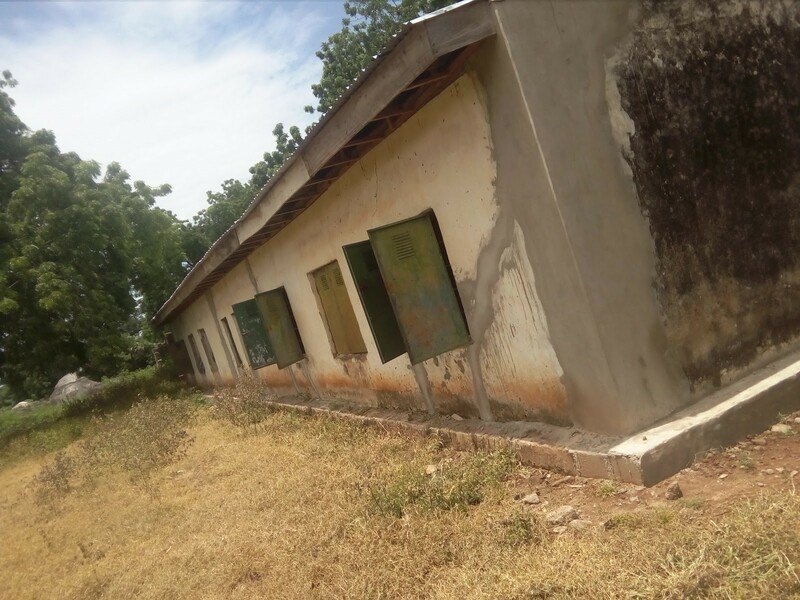 20/09/2018: Follow The money Adamawa state embarked on a follow-up monitoring visit at Parda to address the stoppage of the project, which agency is primarily responsible for the renovation work, and why the contractor stopped the project? 20/09/2018: Follow The Money Team met with the Executive Secretary of the Local Education Authority, who stressed that the Parda Primary School project was a “total mystery” to his department, because of their lack of involvement in the project. He continued that the outgone Local Government Chairman did not notify them of any project of that nature. 20/09/2018: N3.8m was the contract award for the renovation of 2 blocks of 4 classrooms and 2 offices by the Chairman, but the contractor received only N2m. Engr. Babangida lamented that the change in leadership of the Local Government Administration, had been the primary reason for the halt of the project, as there aren’t approvals of further release of funds, and the contractor is asking for at least another N1m before his firm can mobilize back to the site.